Hover over the map for more information about our facilities and exercise zones and browse our gallery for photos of the centre. 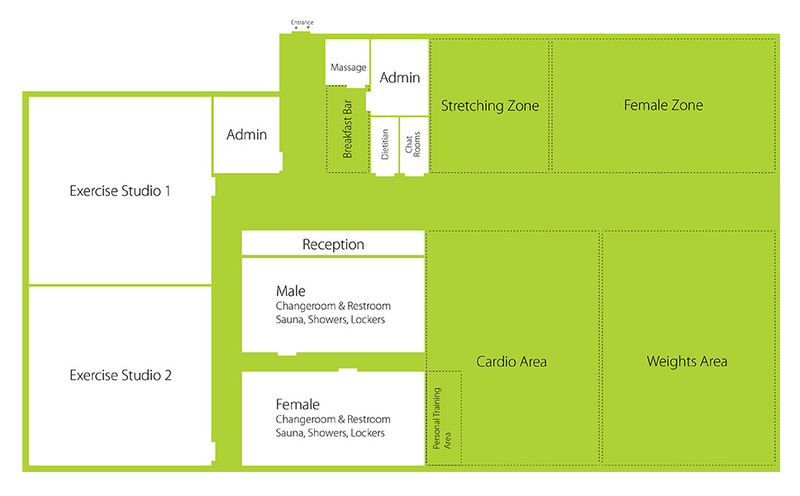 Pick up your locker key, hire a towel, grab a bottle of water and book your next personal training session or massage. Grab a healthy breakfast and relax with the paper after your workout. Mon-Fri, 6am-11am. Warm-up, cool down or simply stretch it out in our dedicated stretching area. Work-out in the privacy of our female only resistance training zone. Everything you need - sauna, showers, restrooms, lockers, hair-dryers and ironing facilities.